Canterbury Place Jupiter HOA - Search Canterbury Place Jupiter FL Homes for sale. Search all homes for sale in Canterbury Place Jupiter FL with photos, videos, including Canterbury Place Jupiter HOA info. Canterbury Place Jupiter homes for sale are in a resort-style neighborhood with a great selection of community amenities. 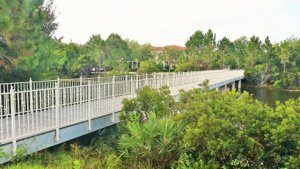 Residents of Canterbury Place can bike or walk to nearby entertainment, shopping, and dining in Abacoa. These stunning single-family homes and townhomes are surrounded by a sparkling natural lake and tropical landscaping that create a picturesque view right outside your front door. Real estate in Canterbury Place consists of townhomes and single-family homes. Constructed by Centex in the mid-2000s, Canterbury Place homes for sale offer two architectural styles to choose from: French Country or Tuscan. Upscale amenities include stainless steel appliances, impact glass windows, and granite counters. Single-family homes in Canterbury Place have a total of 15 floor plans, which makes it easier to find the design that suits your lifestyle needs. Living space ranges from 1,400 to 2,200 square feet. Townhomes come in 8 different floor plans with varying amenity upgrades. Whichever you choose, Canterbury Place has low homeowner association fees. Canterbury Place real estate is close to an abundance of recreational activities to enjoy. In the southern part of the neighborhood, enjoy the community amenities. Residents have access to a top-of-the-line fitness center and aerobics room, a clubhouse with space for social gatherings, and a heated swimming pool. Abacoa’s spacious parks offer a place for biking, dog walking, jogging, and playing with the kids. Practice your tennis or golf skills on one of the many courts and courses in the area, including Abacoa Golf Club. Roger Dean Stadium is a must-visit for baseball fans. Jupiter Skate Park is another popular hangout spot. The spectacular beaches of Jupiter are a short drive away so you can easily bask in the sunny rays, whether you prefer staying on the sand or exploring out on the sea. Canterbury Place homes are close to many shopping and dining choices. The nearby Sea Plum Plaza has Publix groceries, Starbucks, and several service shops. Abacoa Town Center features a selection of local boutiques and national retailers to meet every shopping need. Dining near homes for sale in Canterbury Place offers numerous choices, whether you are hungry for classic American burgers, local seafood, international cuisine, or a satisfying cafe beverage. Find more information on JUPITER HERE. Traveling in and out of Canterbury Place is made easier by its location just west of Military Trail and south of Indian Creek Parkway. Residents of Canterbury homes are served by the School District of Palm Beach County, which has continually top-ranked programs, such as Jupiter High School. For alternative education, there are also private schools in the area.